For over 60 years, this recipe has been a favorite of family and friends around the world. Made in small batches, with wholesome, natural ingredients, every flavor will delight your palate. It also makes the perfect gift! 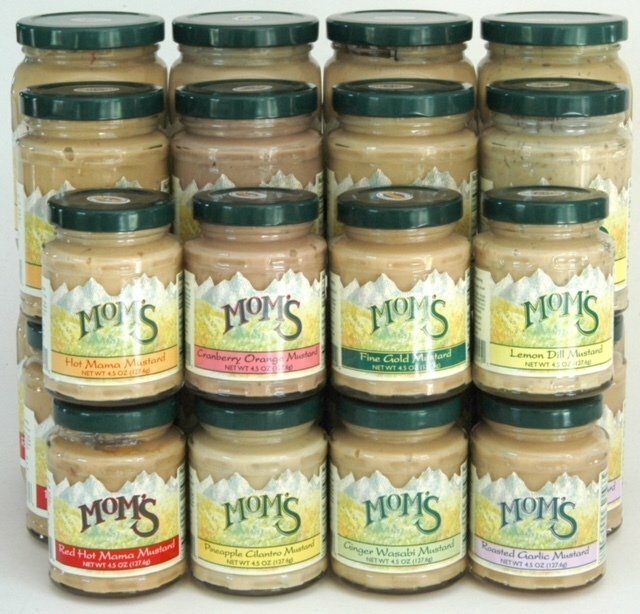 Small jars of Mom's Mustard are 4.5 ounces. Prices include standard shipping. Please select 2, 4 or 6 flavors, depending on your order choice. For more than one of a specific flavor, please use the Special Requests box. Back to Mom's Mustard main page.